West Ham were in clinical mood in this 3-0 victory over Newcastle at St James’ Park. The Magpies dominated possession throughout the encounter, but Manuel Pellegrini got his gameplan spot on in a potentially tricky away fixture. The recalled Javier Hernandez, playing a full 90 minutes for the first time this season, opened the scoring in the 11th minute before adding a second shortly after the hour.  Despite increasing their attacking pressure, Newcastle never looked likely to rescue the game from two behind – and duly conceded a third when the impressive Felipe Anderson hit home from a rapid counter-attack in stoppage time. 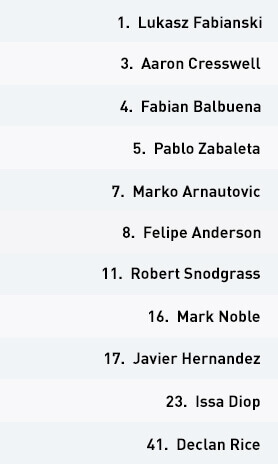 Hoping to capitalise on an open and fast-paced start to the game, Newcastle looked to attack in a 4-2-3-1 structure. But despite having the majority of the ball, they struggled to penetrate centrally, with their attacking midfield trio of Ayoze Perez, Matt Ritchie and Kenedy often guilty of losing possession. A lack of awareness and timing when releasing the ball was problematic for the front line, reducing their quality in progressing into the final third. As West Ham were content to sit in a mid-block before initiating a counter-attack, Newcastle continued to have more possession – but they struggled to take advantage when any visiting breaks broke down. 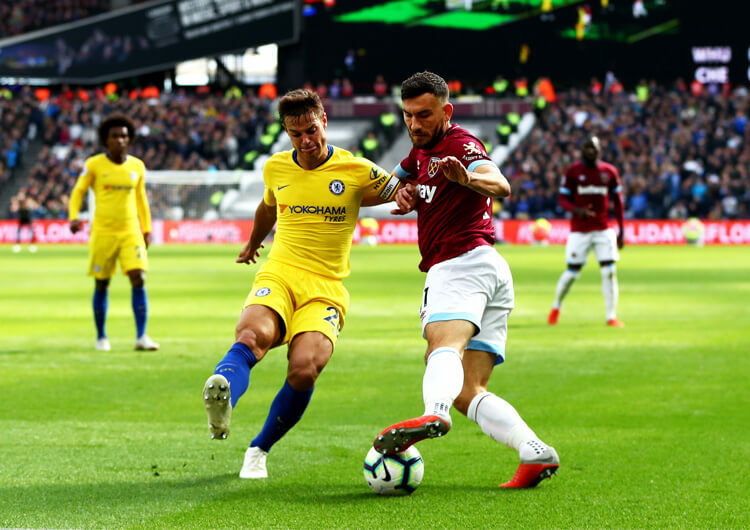 The Hammers’ central box of four were superb when defending one-on-one, which forced the Magpies to attack through prolonged spells with the ball rather than potentially incisive breaks. West Ham set out to force Newcastle into wider areas, and the hosts reacted by pushing their full-backs higher. But as the away side were clearly targeting transitions, only one full-back would step higher with the back line uncomfortable in leaving a central two-on-two. This increased the Magpies’ defensive stability against any breaks, but reduced their own attacking threat. 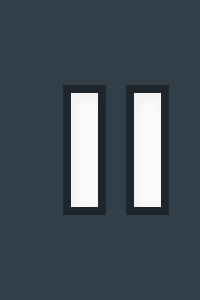 To stretch West Ham’s defensive and midfield units in the hope they would become disconnected, the back line thus started to deliver more direct long balls into lone forward Salomon Rondon. Even if the first header was won, however, the Hammers’ central compactness between the lines ensured the second ball was largely recovered. 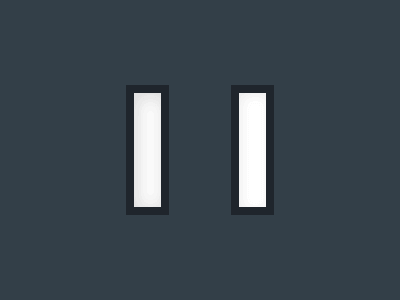 This theme continued into the second half, with the hosts offering very little threat against a team now dropping into an incredibly compact low block. Newcastle remained wary of West Ham’s transitional threat, refusing to risk pushing their full-backs higher. Once they fell two goals behind, and with the addition of Jonjo Shelvey to the midfield, they stepped forward to support their front line. Rondon and Perez could now attack more crosses, which resulted in their most effective spell of pressure. Shelvey’s acting as a link between midfield and full-backs helped the hosts switch the play and exploit the areas in the channels – but they were still without any real attacking quality inside the penalty area. Despite an increase in pressure, the comeback never seemed likely. 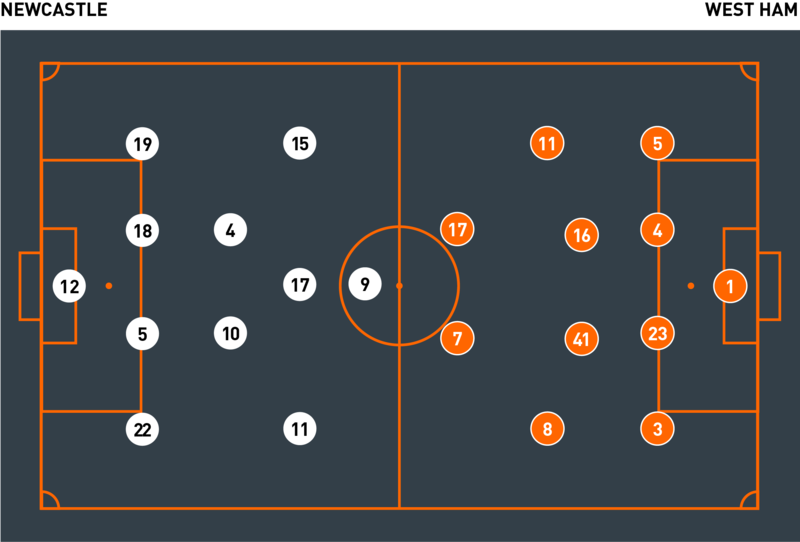 Newcastle’s initial defensive block was set up in the middle third of the pitch, in a 4-4-1-1 structure. When Perez added pressure to the central area, they outnumbered their opponents’ midfield, which helped with their early dominance of possession. As West Ham only had two players in central midfield, Newcastle’s trio often won the loose ball – particularly from goal-kicks. 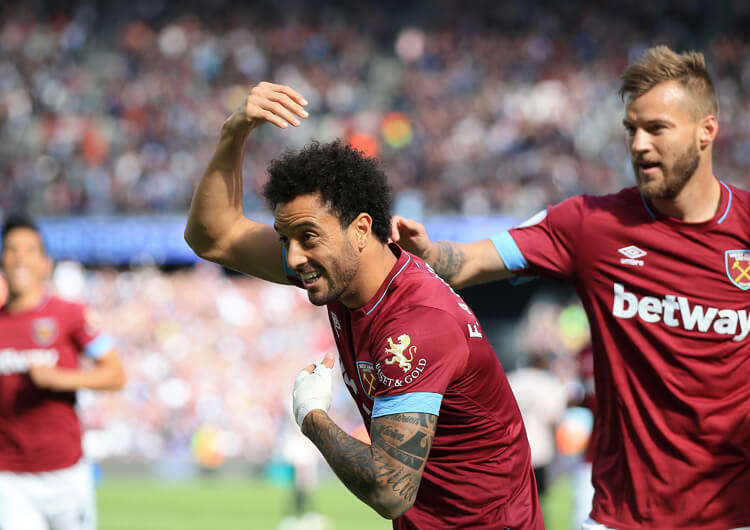 They weren’t able to produce anything telling from this dominance on the ball, however, and clever rotations and movements from West Ham’s two central strikers ensured the Newcastle back line remained stretched well into the second half. As possession was lost and the back line dropped, the gaps between their midfield and defensive units increased. This only helped the Hammers’ midfielders on the break, whether they chose to pass or dribble forward. Newcastle’s defensive structure eventually changed to a 4-4-2 in the second half, as they left Perez higher with Rondon to play forward much earlier than previous. They were always playing catch-up against the better team, however, as their good recent run came to a shuddering end. In possession, Newcastle couldn’t push their full-backs higher due to the numbers West Ham had ready to counter-attack. They thus failed to take advantage of the gaps around the visitors’ defensive block, and instead lost the ball more in central areas. The hosts formed a 4-4-1-1 out of possession, with Ayoze Perez working back to help press in the central lane. From here, they could regain possession, using their three-against-two overload in central midfield. 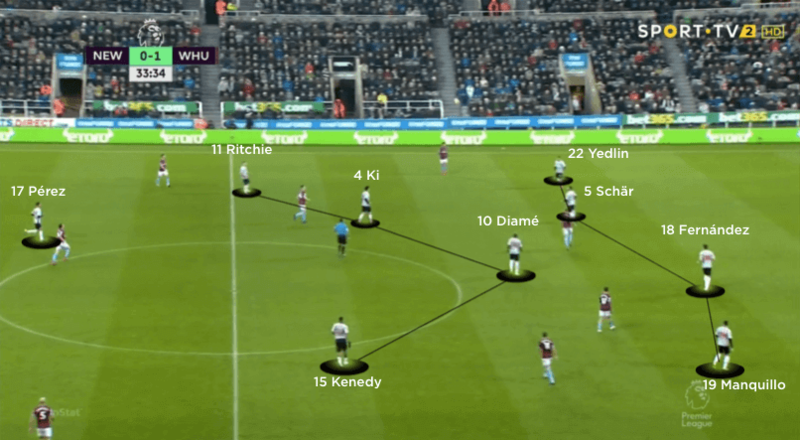 As West Ham converted into a low block, Newcastle could push extra players forward. Ultimately, they lacked quality in tight areas within the final third, and couldn’t break down the visitors’ central block. West Ham’s attacking structure, which led to their first goal, included a central block of four to block counter-attacks. Both full-backs then moved higher in different capacities, allowing Robert Snodgrass to attack one-on-one wide on the right and cross. The visitors’ 4-4-2 defensive block gradually deepened in the second half. This not only created tighter spaces between their defensive units, but also drew the hosts forward and left them vulnerable to the counter-attack. West Ham continued to use deep counter-attacks in the second half. Their final pass forward often fell to Javier Hernandez, though, who lacked the quality required to set his runners free. 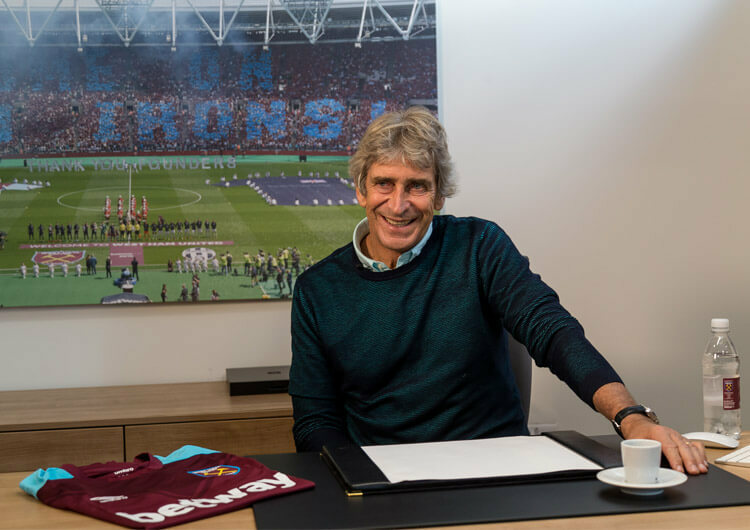 Manuel Pellegrini set his West Ham team up in a 4-4-2 formation, with Javier Hernandez partnering Marko Arnautovic in attack. 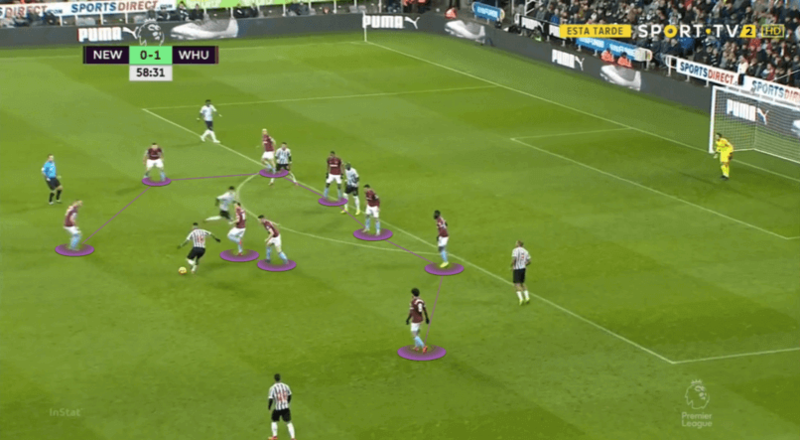 When the visitors went forward, central midfielders Declan Rice and Mark Noble sat behind the ball, creating a box with the two centre-backs – this ensured they could block off central counter-attacks, forcing any Newcastle breaks wide. 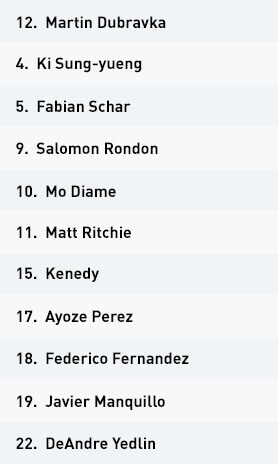 Both full-backs could in turn also move higher, with differing roles for Aaron Cresswell and Pablo Zabaleta. On the left, Cresswell maintained more width and therefore offered more of a crossing threat. 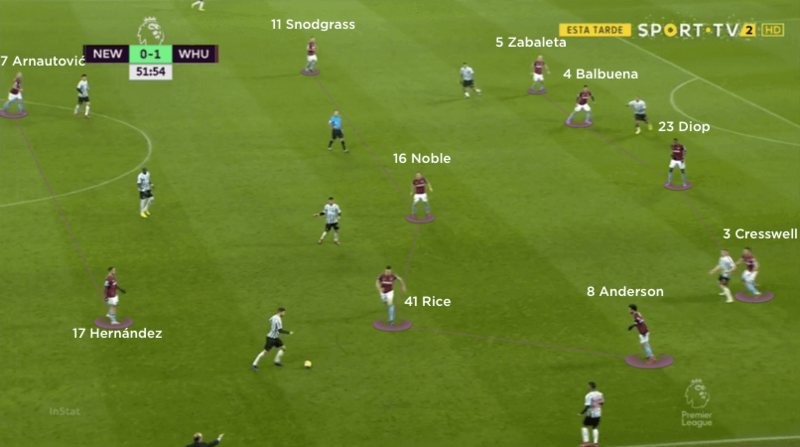 On the right, Zabaleta frequently moved inside to not only support central moves and switches of play, but also to create one-on-ones for Robert Snodgrass ahead of him. The left-footed Snodgrass could provide dangerous crosses from this side – it was his superb delivery after cutting back inside that led to Hernandez’s opening goal. The Mexican had rotated well with Arnautovic in the build-up to his strike, giving the Newcastle defenders a problem and showing the benefit of Pellegrini’s decision to go with two strikers. West Ham continued to push forward through counter-attacks, as Hernandez and Arnautovic alternated their individual roles. The latter soon began to drop short and collect the ball at feet, hoping to link with Felipe Anderson on the left. With Cresswell gradually adding more and more depth from the left side, Anderson could step inside to link with Arnautovic, while Hernandez looked to make diagonal runs in behind the back line. Despite failing to add to their lead for a good while – counter-attacks in central areas often fell to Hernandez, who lacked the quality of pass to find the willing Arnautovic in behind – the visitors managed to subdue all of Newcastle’s second-half pressure with relative ease. Hernandez’s eventual second, as he this time ran on to a flick from his strike partner, eased any nerves they might have felt before Anderson added a third as full-time approached. Out of possession, West Ham set up in a 4-4-2 structure, forming a compact mid-block. One of the two strikers, usually Hernandez, would drop back and press from behind the ball, forcing the hosts into wider build-up play. This extra pressure also encouraged much quicker passing patterns from Newcastle, which resulted in more frequent turnovers. The home side lacked the quality and consistency in attack to maintain such a high tempo of play, and so struggled to penetrate the visitors’ back line in open play. With Arnautovic remaining the highest striker, West Ham posed an immediate threat in behind during moments of transition. This pushed additional defenders back, meaning Newcastle then lacked numbers in attack. From here, the visitors’ back line continued to win their duels, with their cautious hosts unable to create any form of overload in advanced areas. 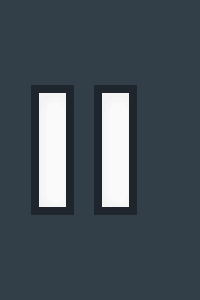 In the second half, Arnautovic and Hernandez pressed to force long balls into Salomon Rondon. 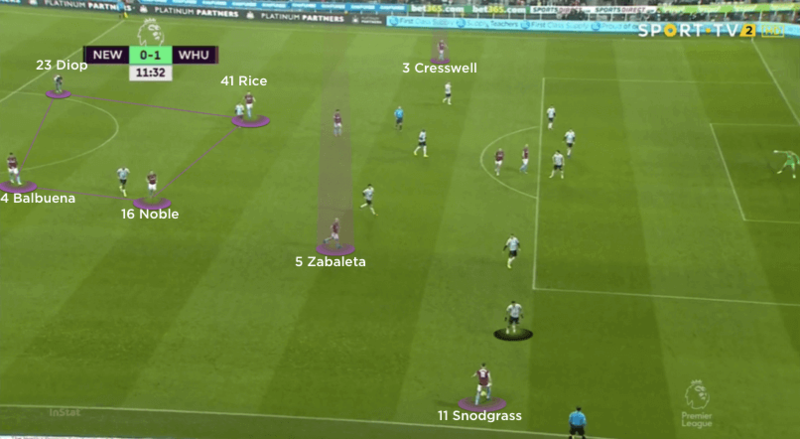 Even if their central defence lost out to the first contact, Noble and Rice in front of them would often win any loose balls before hitting the stretched units of Newcastle’s block on the break. As the visitors added to their lead into the second half, their block became much deeper and they alternated between a mid and low block – this frustrated the Newcastle attack and helped them to successfully see out the game for a well-deserved three points.